When you want a midsized truck, you don’t have to compromise on performance or style. You can get the award-winning 2017 Chevrolet Colorado. The new edition combines more dash technology, class-exclusive safety tech, and a refreshed, more potent V6 powertrain. 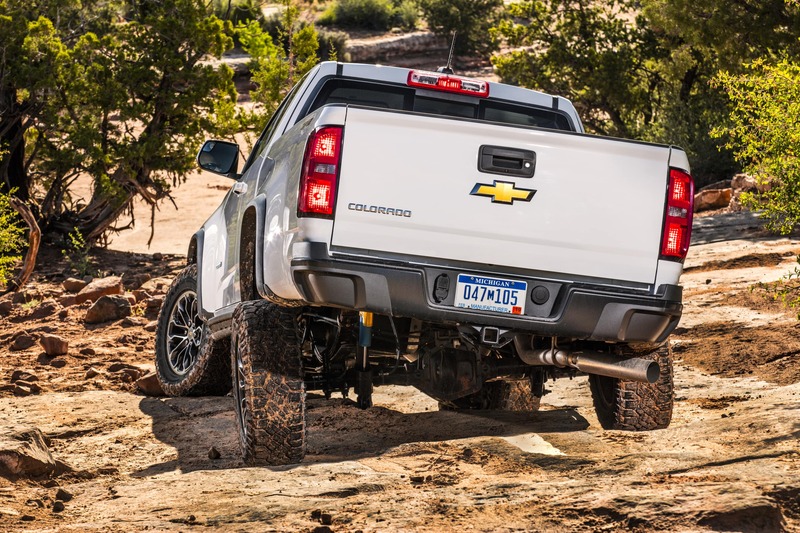 Colorado truck specials keep costs down at your Libertyville Chevrolet dealer. The 2017 Chevrolet Colorado has three different combinations to serve your needs. You can get the extended cab, seating four, with a 74-inch bed. The Crew Cab matches with the longer bed or the shorter, 61.7-inch bed. A favorite of busy workers everywhere, the CornerSteps give you a leg up into the bed. A convenient handhold makes it even more unique and useful. The best way to learn more is to take a test drive of the 2017 Chevrolet Colorado for Sale in Libertyville IL. When the Colorado was redesigned and reintroduced a few years ago, critics applauded the classy cabins. 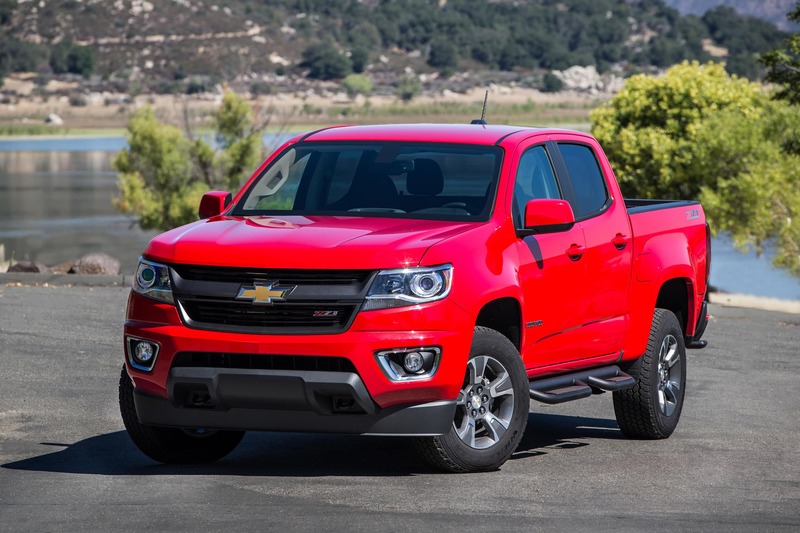 The new Colorado for sale forced all other midsized trucks to rush to compete. For starters, the interior is quieter than most rivals. Thickened side and front glass are augmented by a liquid-applied sound deadener to quiet the cabin. The cabins offer a variety of trims with handsome cloth or leather-like upholstery. You can get SUV-like amenities, including a programmable thermostat. The available heated seats have dual capability, warming the two cushions or just one. On the base edition, you’ll benefit from a standard backup camera and 4.2-inch color display. The IntelliLink touchscreen puts helpful apps in reach of your hand or voice. 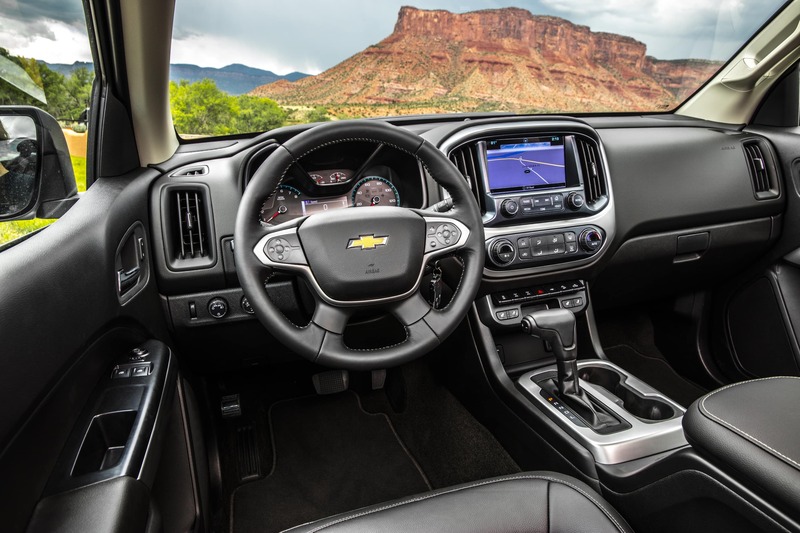 Bluetooth audio streaming becomes even more exciting with the introduction of Android Auto and Apple CarPlay on the 2017 Chevrolet Colorado for Sale in Libertyville IL. Now your touchscreen can access most of your smartphone functions, including maps and turn-by-turn directions right on your screen. You can also upgrade to the built-in navigation screen and a Bose audio system. OnStar can provide a WiFi hotspot for your passengers. It is an asset for drivers when you are in a remote location. For 2017, there’s a new eight-speed automatic transmission for the V6. More gears allow better acceleration and deceleration at high speeds. It also gives you more support at low revs. This is just one way the Colorado leads its rivals. The Nissan Frontier, Toyota Tacoma and Honda Ridgeline all have typical six-speed automatics. Chevrolet designed the Colorado for sale to provide more carlike handling, and that helps the driver gain more confidence behind the wheel. Rear-wheel drive is standard. If you want something tougher, you can, of course, get a four-wheel drivetrain. With on-demand 4×4 capability, these trucks can tackle your traction or terrain challenges. 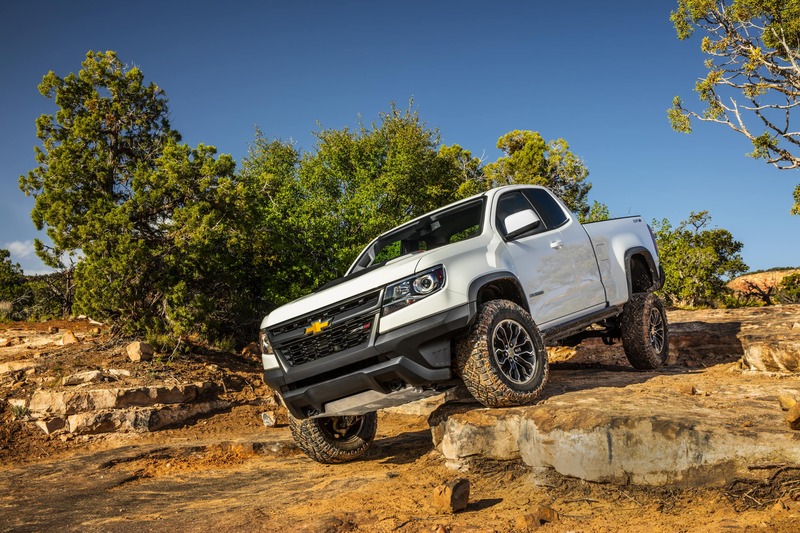 The Colorado Z71 is the champion off-roader in the mix. An AutoTrac transfer case and a locking rear differential allow the driver to go further afield with few worries. 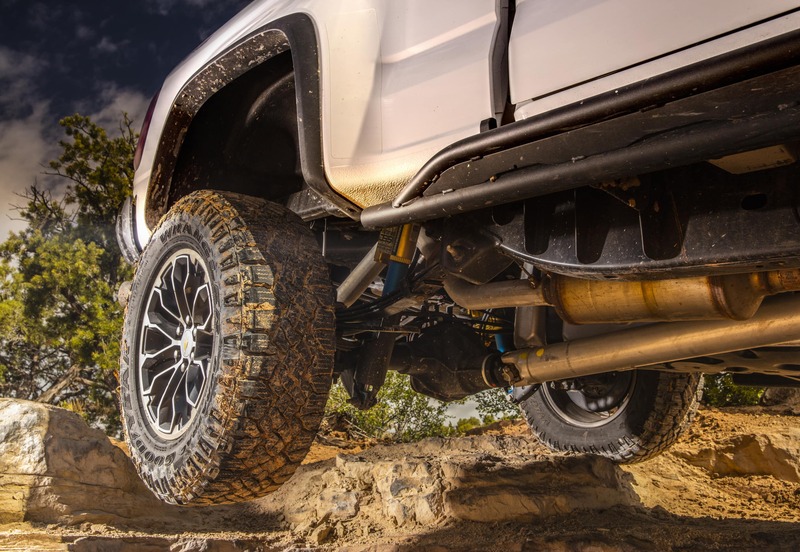 The specially-tuned off-road suspension absorbs the bumps and bruises of rough terrain. Hill descent control regulates speed to keep the truck slow when crawling down an incline. 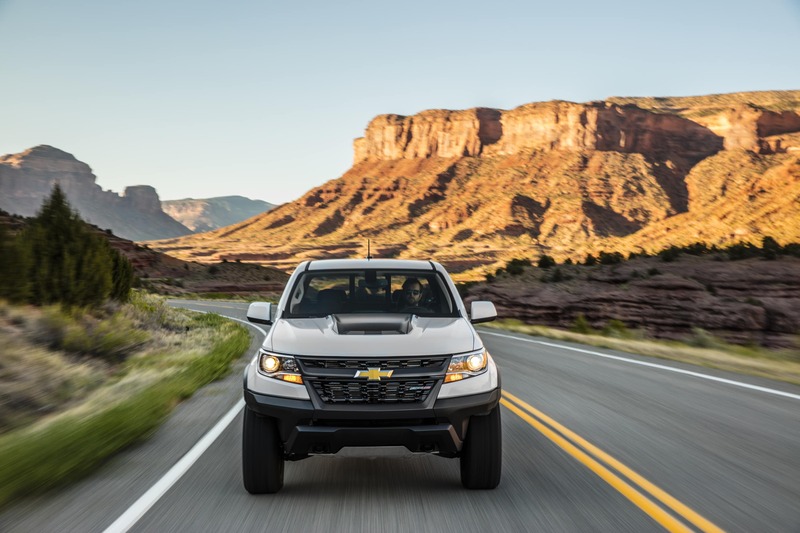 If you want to know about front-wheel and four-wheel drivetrain options on the Colorado, have a chat with the knowledgeable staff at your Libertyville Chevrolet truck dealer. We can also tell you about Colorado truck specials. When it comes to performance, the Colorado for sale leads in both I-4 and V6 power. The base engine kicks out 200 horsepower and 191 lb.-ft. of torque. That beats the Toyota Tacoma by 30 horses and the Nissan Frontier by 47 horsepower. For 2017, Colorado beefed up its V6 engine. Now it is rated 308 horsepower and 275 lb.-ft. of torque. This beats all competitors. The new Honda Ridgeline, for instance, gets by with 28 fewer horses. Unlike all competitors, the Colorado is offering a third choice. It is a turbo diesel with excellent fuel economy. The 181-horsepower engine generates 369 lb.-ft. of torque for truly tough hauling power. For proof, just look at the tow ratings. The V6 Colorado can tow 7,000 pounds, but the turbodiesel Colorado can tow 7,700 pounds. By comparison, the Tacoma is limited to 6,400 pounds and the Ridgeline is stuck at 5,000 pounds. When you consider your options, it is clear that the Colorado is a midsized truck poised to do more regardless of which engine you choose. Chevrolet trucks take your safety seriously. That’s why all models have exclusive DuraLife brake rotors. More effective, these rotors reduce the brake shudder common in bigger vehicles. These also have longer road lives before maintenance is needed. Crash avoidance is further emphasized by warning systems available on the 2017 Chevrolet Colorado for Sale in Libertyville IL. You can get a lane watch to warn you if the truck strays out of its lane lines. You can also get a forward collision alert to signal if leader traffic is stopping suddenly. 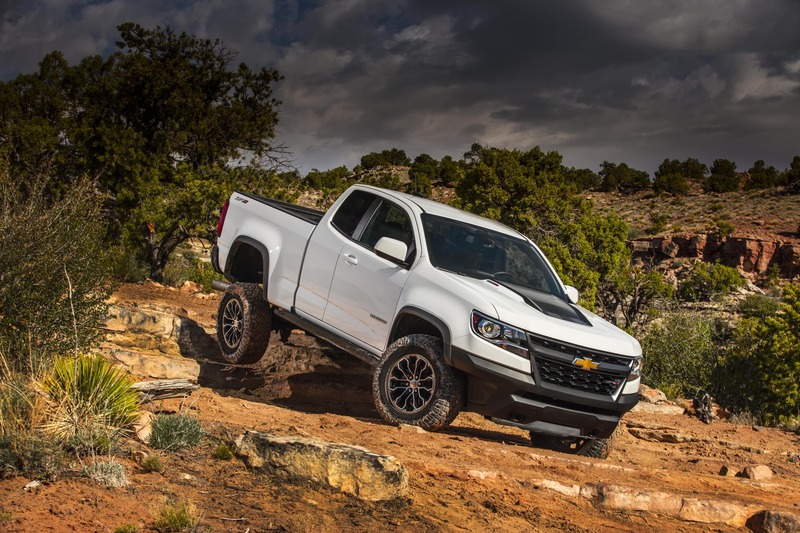 Chevrolet Colorado truck specials can help you afford the systems you want for your new midsized truck. With so much to offer, the 2017 Chevrolet Colorado is a good investment and a fun ride. Take a test ride at your Libertyville Chevrolet dealer.